There’s a new RFID book generating buzz, and it’s not the good kind for the RFID industry. Just choosing the title “Spychips” tells us the publishers, editors and authors are trying to move books through controversy. I first caught this on Wired and now Slashdot has picked up a Boston Globe article about the book. Coverage on those three sites alone should please the publishers and drive sales up. For those in the industry pushing “good” applications a little controversy like this can be a wake up call. While discussing RFID technology and applications with friends outside the industry, they suggested I “already drank the kool aid.” Acutally, I am very concerned about the privacy implications, but RFID is also a very exciting, very enabling technology that can increase security, save billions in the supply chain and save lives. RFID, like any technology, is not good or evil, it just is. Technology is morally neutral, applications are not. As a disclaimer, I have not read the book, but many of the privacy compromising applications suggested in the articles appear very good in one context and very bad in another. For instance, an RFID enable medicine cabinet could be very good for those with dementia or on extensive, precise drug regimens. That same cabinet application would be bad if it spit out Tylenol coupons everytime you reached for an aspirin. Tracking little kids and Alzheimer patients = good. Tracking teen agers and adults as they move around town for marketing purposes = bad. 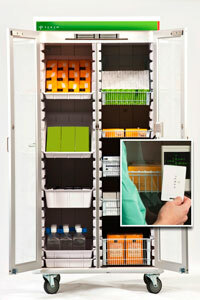 In any instance, the individual needs to have contol of when and where their RFID components work. Google made a lot of press with their “don’t be evil” statements. Perhaps the RFID industry should create some sort of formal or informal sounding board to discuss these issues internally. The Smart Card Alliance meeting this week in Miami would be a great place to start that discussion. In the meantime, I’ll buy a copy of “Spychips” just to get a better handle on the negative side of the argument.